It is really easy to use and customize, manage, search hotels, places. 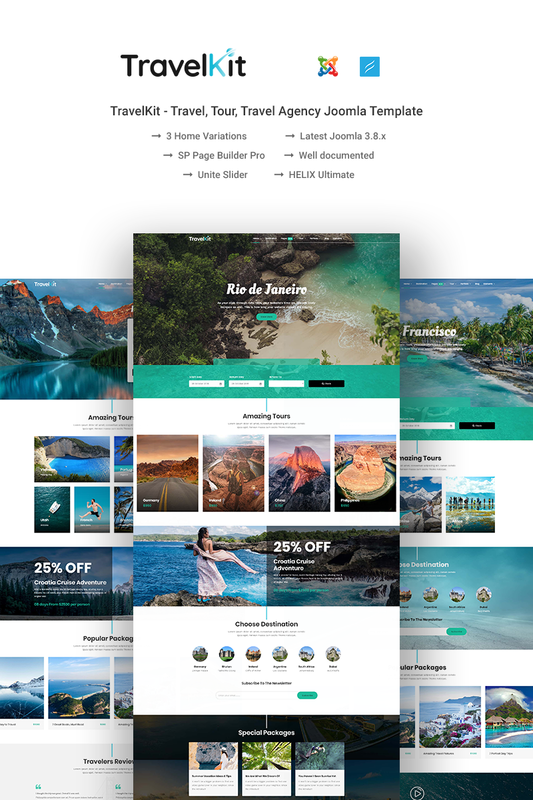 Itâ€™s a full packed Travel Business Theme, with this you can build virtually anything. TravelKit comes with a full feature booking and reservation system, backed by Solidres. Your users will be impressed by the multiple choices. Very good value for money! You get the template with extra components and Page Builder Pro!